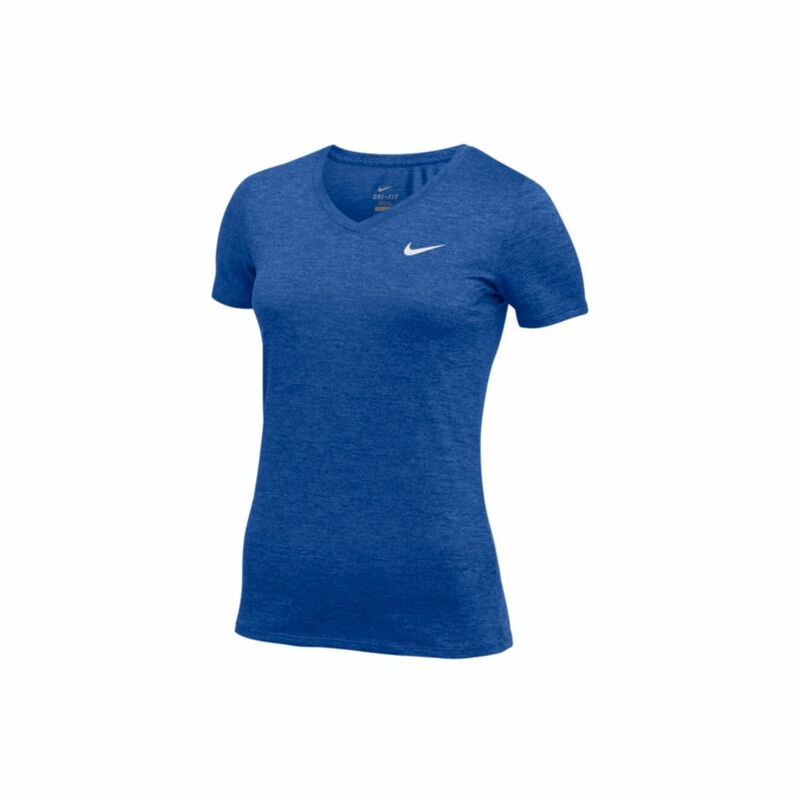 Women's Nike Dry Legend Training T-Shirt provides flattering comfort with a nonrestrictive silhouette and V-neck design. It combines soft jersey fabric with Dri-FIT technology to help keep you dry and comfortable all day. Regular fit is eased through the body for a more relaxed feel. This item cannot be exported. Non-stocked, please allow 4 extra shipping days unless shipped to a school address.